Thank you for requesting updates from Clean Air in London. These will be sent from time to time to keep you informed about important news. 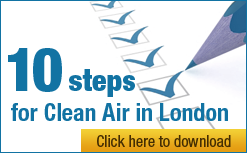 If you haven’t done so already, why not download our ‘Quick guide to air pollution‘ or our guide for campaigners ‘10 steps for Clean Air in London’.